Who is your favorite character in The Walter Boys? Why? Hands down, Alex is my favorite. Out of all my characters, Alex most closely resembles myself. I’m a bit of a geek or, as I call myself, a closet nerd. I love everything fantasy and science fiction, and I can spend hours playing videogames. Just like Alex, I’m a sensitive person and can sometimes be a bit naïve. For those reasons, Alex is very dear to my heart. Your journey as an author is very unique. Can you tell us a little about what it was like writing on Wattpad and then having your story published by Sourcebooks? I uploaded the story to Wattpad in 2010, and it wasn’t long until the story took off. Since then, My Life with the Walter Boys has been read more than 29,000,000 times! Explaining it like that makes the process sound easy, but I promise it wasn’t. 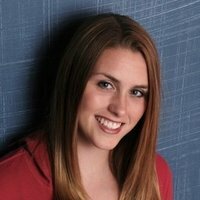 I wrote online for three years with very little success before I discovered Wattpad. It wasn’t until 2013 that I got my break. That was when Wattpad formed a partnership with the publishing company Sourcebooks. I will never forget the moment I was officially offered my book deal. When I read the email, I started bawling. Like snot dripping down my face and everything. Publishing is a dream come true, but the process was a huge change for me. The transition from writing online to writing under a contract was challenging, mainly because of the deadlines. In the past, I always updated my stories whenever I had free time, which wasn’t often. Having a consistent writing schedule was a foreign concept to me, and suddenly I had to rewrite an entire novel in less than three months! Let’s just say I spent many long nights at my desk chugging coffee and cranking out new chapters. Of course, there were plenty of perks too. The best part of my transition was the wonderful staff at Sourcebooks, mainly my editor Aubrey. I’ll be the first to admit I’m horrible at editing, so to have a pair of professional eyes look over the book really helped whip it into shape. 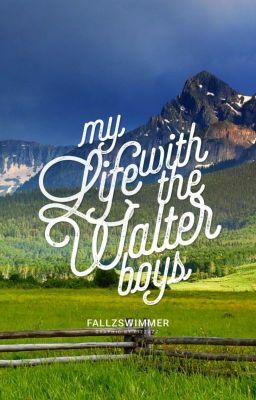 Now that My Life with the Walter Boys is officially being published, it’s weird to think that I’ll never edit the story again—especially considering I’ve been fiddling with the manuscript for seven years. But I can look back on my journey and know that writing this book made me the writer I am today. I really wish I could send you a picture of my writing space. The trouble is, I don’t have one. I’m in the process of moving from one state to another, so I don’t have a desk to write on! I can promise you that if I did, it would be a complete mess and buried under sheets of notebook paper with ideas scribbled on them. As of lately, I’ve been working at my local Starbucks. If The Walter Boys had a theme song what would it be? This is such a great question and I wanted to find the perfect answer, but you don’t understand how terrible I am with songs. I probably spent an hour looking through my iTunes library and nothing stood out at me. “We Are Family” annoyingly kept popping into my head, but that doesn’t fit the Walter Boys at all. Ideally their theme song would be a country one (I love country), and it would be wild. I devoured The Darkest Minds and its sequel Never Fade by Alexandra Bracken. It was the best dystopian novel I’ve read since The Hunger Games. If you haven’t read it already, I highly suggest you check it out. Ali Novak is twenty-two-year-old debut author and a recent graduate from University of Madison Wisconsin's creative writing program. She wrote her first full length novel My Life with the Walter Boys at the age of fifteen. Since posting the story online, it has received more than 24 million reads and will be published by Sourcebooks Fire in March 2014. I actually remember reading this book on Wattpad and then hearing it was going to get published, I can't wait now!